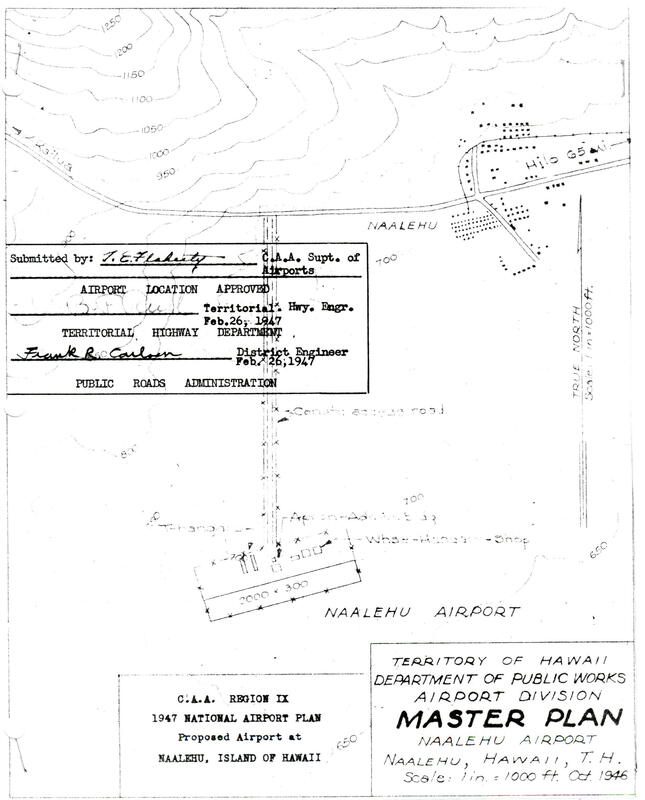 The Superintendent of the Territorial Department of Public Works proposed construction of a Class I Airport at Naalehu, Hawaii in 1947. The airport was proposed as a unit of the Territorial Airport System primarily because of the tourist interest in the area and also to encourage private flying. “The abandoned Army airfield (Morse Field) at South Point would not serve as an alternate to the proposed Naalehu Airport because it is a barren, isolated area of no tourist interest 15 miles from Naalehu, 10 miles of which is by a side road. The Morse Field site has no value to local residents. 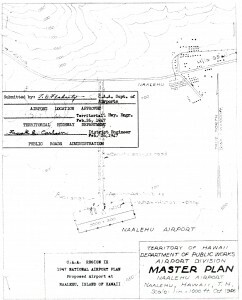 A Master Plan was prepared for Naalehu by the DPW in October 1946 and was approved by the CAA Region IX for inclusion in the 1947 National Airport Plan. The Territorial government gave no recognition to the proposed Naalehu project and no further action was taken.